I recently flew into San Juan on the island of Puerto Rico. “Our country is shaped like a pig,” said my guide as she handed me a map. “I see a turtle, not a pig,” I responded. “No, no. Definitely a piggy,” the guide insisted. Pig or no pig, the airport bestowed a vibrant tropical feel, and that made me happy. 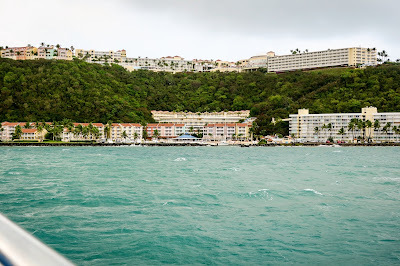 I hopped aboard a shuttle bus for a 45-minute ride to the El Conquistador Resort, a member of the Waldorf Astoria Hotels and Resorts, in Fajardo. My purpose was to review the resort and its convention area for meeting planners. The sprawling hotel contains five villages and the grounds include an 18-hole golf course and water park. I’d have no problem adding steps to my fitness tracker walking around the property. Most of the guest rooms overlook an endless stretch of shimmering turquoise water below a 300- foot cliff. The view is one of those "Pinch me, am I really here?" moments. 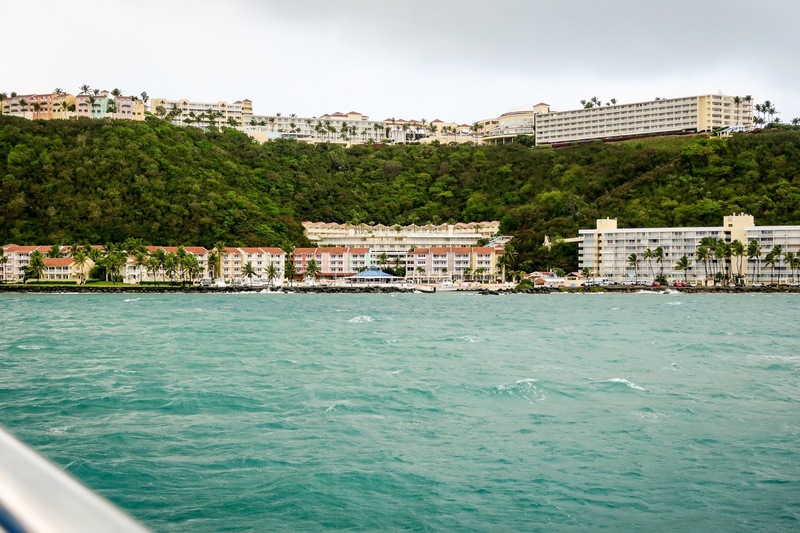 An old-school funicular transports guests down to the Marina Village, the hub of a 35-slip private marina offering deep-sea fishing charters, sailboats, catamarans, and yachts. Here, I boarded the El Conquistador’s boat for private Palomino Island, a spot that I consider the best feature of the resort. Palomino indulges guests with a full array of beach and watersport activities. 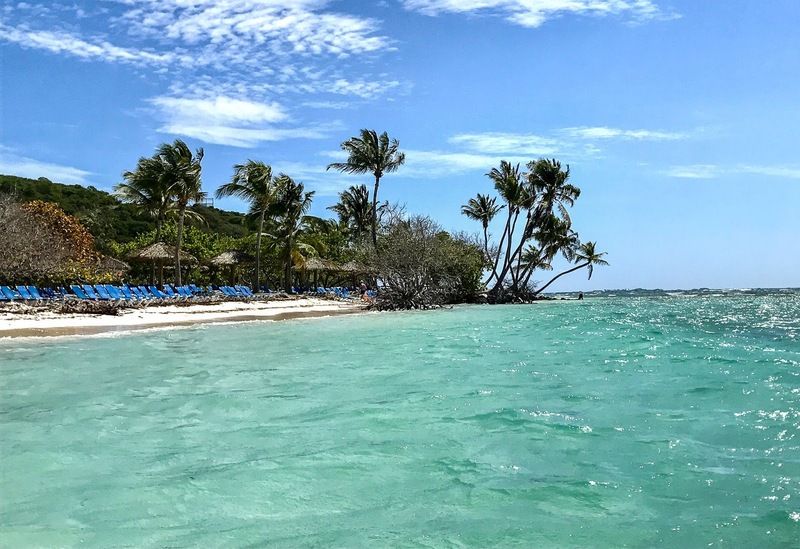 Once ashore, I soon slipped into my bathing suit and did what a Caribbean vacation calls for: I lazed in a lounge chair under an umbrella sipping a frosty rum punch. The picture-perfect little island offered the ideal location for scenes in the movie Pirates of the Caribbean. In fact, Johnny Depp stayed in the El Conquistador's luxury hideaway, Las Casitas Village, during the filming. 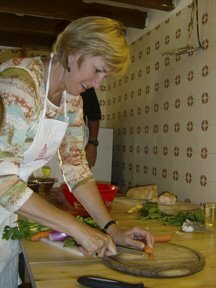 Food, beverage, and dining have become essential elements of travel. Like any discerning foodie, I feel tasting local fare is a must. Thankfully, the talented chefs at the El Conquistador create enticing meals by mixing the island’s heritage with current food trends. Culinary treats I devoured ran from island-grown coffee to piña coladas or DonQ rum punch in a coconut, and tostones (twice-fried garlicky green plantains). 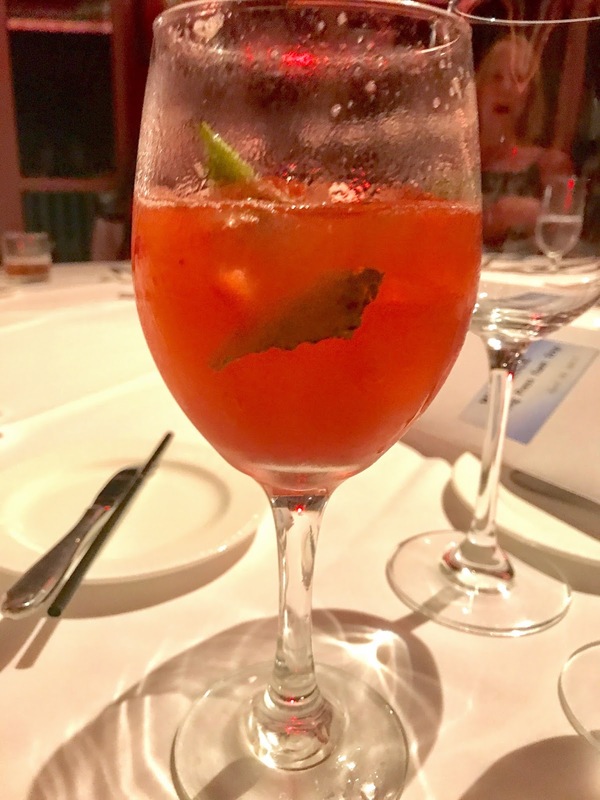 I also tasted a ruby red Luna Fresada cocktail inspired by the colorful surroundings. Heidi Orndoff, a bartender at Chops Steakhouse, the resort’s signature restaurant, created the drink. 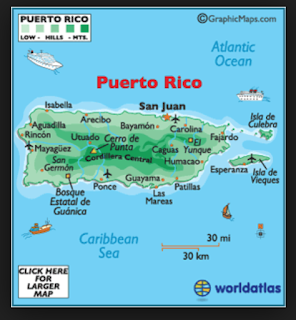 Her tropical mixture contained Pitorro, a distilled spirit from Puerto Rico, referred to as “moonshine rum.” Pitorro is traditionally cured and aged by adding fruits like coconut, pineapple, tamarind and strawberries. Heidi uses strawberry flavored rum. Directions: In the bottom of a glass, muddle chopped strawberries and mint leaves together. Stir in the lemonade and rum. Fill the glass with ice. Garnish with mint sprigs or strawberry slices as desired.